We all know several of the standard ways to improve customer service apply mainly to B2C (business-to-consumer) companies, which sell a product or service directly to the consumer. But why is it so important in 2018 to recognise the importance of B2B (business-to-business)? In today’s competitive market, you cannot afford to fail at providing a positive customer experience since unhappy customers will quickly go to one of your competitors and buy from them. Even if you run a B2B company, good customer service can improve your business and really help you stand out from the crowd. An important thing to remember is that even if you have a B2B company, there’s a customer behind every transaction. Someone – an executive, perhaps, or a purchasing agent – is buying something, or you wouldn’t have a business. And since these people are your customers, you should start treating them that way. Here are 5 ways to you can improve customer service in your B2B business. The first step in excellent customer experience is to be committed to satisfying your customers. If you are a B2B company, it can be easy to overlook this step. No two customers are the same so by customising your client’s experience it personalises the sales process to empower customers. An employee interacting with a small business will have a different approach than someone working with a large company because the customers have different needs and things they are looking for in the buying journey. Usually B2B customers have a lot on their plates, so they want simplicity while smaller companies appreciate the extra details and attention they receive. Acknowledging and acting on these differences will keep you above the competition in making your clients feel valued for their business. Understanding and delivering on customer needs is vital to customer satisfaction. B2B audiences increasingly value suppliers that help them differentiate and better serve their customers. Innovation and partnership are key to delivering exceptional customer service, yet these requirements are often insufficiently met. The best-in-class B2B companies are those who understand the full value chain and positively impact their customers’ customers. By taking initiative in ways to assist your customers on a deeper level, trying thinking about what keeps them up at night and how you can relieve some of that worry. For example, the average B2B sales cycle is about 10 months, but customers would prefer if it were around 6 months. By introducing this targeted 6 month option you’re one step ahead in creating a happier customer. B2B organisations must have the tooling in place to collect trusted, accurate, and meaningful information. A sales enablement tool can anticipate the outcome of a particular sales situation and proactively recommend content and selling strategies based on real-time data, best practice, and similar sales scenarios. Giving customers options for how they connect with you is prevalent in the B2C world, but not as much in B2B. Still, customers from any type of business want to be able to connect with you in the way that’s most convenient for them. By catering to those preferences (some may want to use the phone, engage in chat, a ticket system, or even a self-service option) you’ll help them create a seamless and personalised resolution, helping build trust and confidence in solidifying the relationships you have with your customers. A truly customer-centric approach to service is one where you can demonstrate that you’ve listened and acted or plan to act on the issues customers have brought to you. This is especially important in B2B, where you need to keep multiple point-people happy for each individual account. Once you’ve figured out what to do with your customers’ feedback, continue that feedback loop by informing customers of what you did or will do about it. If you have a B2B company, remember that there is a customer behind every transaction, and act appropriately with remarkable customer service that helps you stand out from the crowd. Your B2B challenges are unique, so BARE International India’s services can be customised to create just the right research program to address your needs. 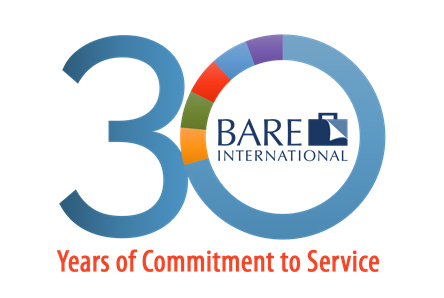 Explore BARE International’s service offerings here to reveal the true nature of your business . SEARCHING FOR A DEEPER UNDERSTANDING OF THE CUSTOMER EXPERIENCE. In 2018, increasingly more companies will base the way they operate, evolve and plan for growth all on the customer experience. This will have a significant impact on market research as brand stakeholders demand more qualitative data, an in depth look at the entire customer journey and insightful analyses integrating data from multiple sources. Other factors influencing research methods include changing customer expectations, expanding social conversations and technological advancements that instigate change at an ever-accelerating rate. Here are five ways market research is evolving to deliver smarter, more holistic research with deeper customer experience insights. 1. SHIFT FROM QUANTITATIVE TO QUALITATIVE. Historically, the research pendulum has swung back and forth between the quantitative (how staff meets set standards) and qualitative (how a brand is perceived by its customers). With the current “single-minded” focus on developing a customer-centric culture, the pendulum is now heavily anchored in favor of qualitative, and will most likely stay there for a while. Although still interested in measuring quantitative standards, companies today are paying far more attention to the consumer perspective—what are their customers thinking, feeling, doing and why. At BARE International, we have long emphasized to our mystery shoppers the need to remain objective in their evaluations. Today, we’ve added a qualitative component to the survey, asking for their thoughts, feelings and reactions to their experiences. To give clients a better understanding of their customers’ perceptions, our reports have become more intuitive and richer in feedback. 2. EVALUATE THE COMPLETE CUSTOMER JOURNEY. To develop a customer-centric culture, companies need to embed customer journeys into their operating models. They must identify the journeys in which they need to excel, understand how they are currently performing in each, build cross-functional processes to support those journeys, and institute cultural change and continuous improvements. To fully understand the customer experience, research can no longer focus on one transaction, but must evaluate the complete journey. Research should enable brand stakeholders to understand broader reasons for the transaction, address root causes of any problems, and create feedback loops to continuously improve interactions upstream and downstream from the transaction. Measuring performance standards and customer perspectives through multiple touch points along the journey provides the data companies need to initiate change and growth. At BARE, we not only measure many strategically selected touch points in our client evaluations, but also in completing competitor analyses. 3. BECOME PART OF THE CUSTOMER EXPERIENCE. Effective research should not only provide brand stakeholders true insights about their customers’ journey, but also play a positive role in the customer experience. When research becomes more of a conversation between customers and brands, it helps build long-term relationships, gathering feedback while enhancing the overall experience. Bare has shopper panel capabilities whereby we can collect quick pulse data to support client decisions. By sending out a single question concerning general industry information or a company specific product/service to our designated panels, we can collect hundreds of responses within hours. That immediate, direct consumer feedback is invaluable. 4. FACILITATE ANALYSIS WITH FASTER, MORE MEANINGFUL, CUSTOMISED METRICS. With social media and today’s technology, news travels at lightning speed; complaints travel even faster. Whether through social channels or rating sites, consumers feel empowered knowing they can have an impact—and a better chance of being heard—if they complain publicly. When a company gets it right, there’s a huge benefit from the positive conversation. Get it wrong, and it’s a P.R. disaster. So to be effective, brand stakeholders need information as it’s happening and market research needs to evolve constantly to keep up. At BARE International, we’re always looking ahead for new ways to ensure data is accessible as soon as possible. We provide short survey feedback within hours, and typically deliver full reports within a couple of days. We were the first in the industry to add immediate feedback triggers that allow designated client management to receive on the spot notifications if a mystery customer finds an issue. Data not only needs to be delivered quickly but also in a format that enables brand stakeholders to easily interpret and grasp implications. Using the latest data visualization techniques, Bare’s customisable dashboard integrates customer metrics from multiple sources to create a broader, more accurate analysis. Easy to navigate, the dashboard enables companies to draw comparisons, track progress, and make changes based on informed decisions. In a world where change occurs faster than ever, trends can develop in hours rather than weeks or months. At BARE International, we don’t react to change; we plan for it. That means staying flexible, creative and on top of new trends as they happen. Bare has access to 500,000+ mystery shoppers around the world. Each one of these shoppers is also a customer making purchases in a wide range of industries. With this constant influx of global information, we see trends as they emerge and anticipate changes that will follow. In 2018, market research needs to be a fluid tool easily adaptable to new variables and unique requests, a tool that cultivates more meaningful communication between companies and their customers. BARE takes it a step further as we look at innovations in behavioural analytics, predictive analytics and speech analytics. Creating a customer-centric culture is fast becoming necessary for survival. Achieving this goal successfully relies on research that measures the consumer journey, evaluates processes and brand standards, assesses employee response, and tracks consumer experience consistently around the world. Ensure your customer experience research is staying ahead of curve and delivering all you need. Consider partnering with Bare, a firm that has long pioneered the way. If you would like to find out more on how BARE International can further assist your business, contact a Customer Experience Research expert at BARE India today. Industry leaders Mike and Dale Bare share their 30-year perspective on customer experience research. In part 1 and part 2 of Ellen Pochekailo’s interview with Dale and Mike Bare, we learned how they grew from ground floor to global. In this third segment, they share their perspectives on how customer experience research has progressed, how they’ve helped enhance the industry, and why this research is still critical to success in today’s markets. How have you advanced in the field of customer experience research? Mike – Our most significant contribution would have to be our role in launching the first credentialing organization for mystery shopper research firms. When we had been in business for about ten years, we realized there was a real need for established standards in the industry. I had met several colleagues who felt the same way, including Mark Michelson. He and I decided to form a credentialing and education association. We held our first meeting in Orlando in February 1997. Expecting about 20 to 30 people, we were surprised by the promising attendance of 80 participants. We discussed the role, purpose, benefits and format of the proposed organization, and with the support of our peers, decided to move forward. Together Mark and I co-founded the Mystery Shopper Providers Association (MSPA), which is still the leading regulatory organization in the industry. I’m proud to be recognized as one of its co-founders. Dale – MSPA sets the standards for the industry and provides a credentialing process to ensure quality measures are in place. Not only was Mike the driving force behind its foundation, we have completed its rigid credentialing process and remain active, influential members. Dale – I’d say technology-driven changes have had a substantial impact. When we started out, all evaluations were handwritten. We had staff whose only task was to type reports. It was a big job with just a few clients. Now it would be impossible as we process thousands of reports a week. In those early days, evaluations were scheduled by phone … reports were mailed or faxed … projects were tracked on white boards. As new technology was introduced, we integrated advancements into our business, often creating and adapting software customized specifically to our industry. So on the operations side, technology has helped us vastly improve our efficiency, provide faster turnarounds and deliver more thorough analyses. How else has technology affected the industry? Mike –The impact of new technology significantly altered the landscape of customer-business interactions. The way businesses serve and communicate with their customers has changed drastically, and customer expectations are higher than ever before. As a consequence, we’ve adapted and expanded the way we conduct customer research, and keep a diligent eye on the next generation of change. In addition to onsite visits, in-person interviews and phone evaluations, we have online and digital services, social media monitoring and customized dashboards that put data at client fingertips. Aren’t today’s online rating and review sites a good source for customer experience information? Mike – Reviews posted on rating sites are generally at one extreme or the other, are rarely objective, and typically are influenced by emotion. Plus, many people don’t post at all, but choose never to return. So while rating sites can provide a snap shot, it’s highly subjective and puts businesses in a reactive position. By the time a bad review it posted, it’s too late. Dale – Clients who work with Bare International receive objective, comprehensive data. Evaluators understand they are not there to judge, or point out only the negative. It’s not their job to say what’s right or wrong, but to provide an unbiased observation. 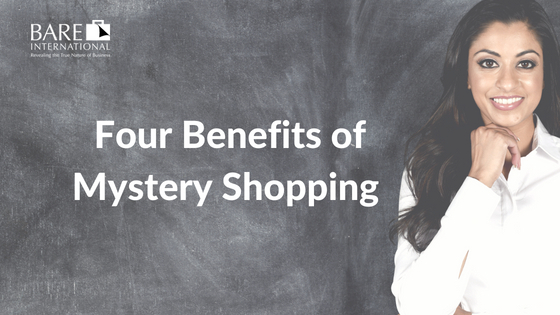 What makes mystery shopping still a worthwhile investment? Mike – Our reports provide a much broader picture than rating site reviews, going well beyond the customer experience to include customized audits, brand standard testing and detailed analysis. With a mystery shop program, clients can catch issues and be proactive about fixing them, circumventing a bad review before it happens. Hiring mystery shoppers also makes a difference in staff attitude. Employees respect what you inspect. If it’s important to you, it’s important to them. Our reports reinforce the positive and denote opportunities for success. If used correctly, the return on an investment in customer experience research should far outweigh the cost. What do you see as the biggest challenge for organizations in utilizing customer experience research? Mike – Surprisingly, the biggest challenge seems to be in doing something with the data we collect. Some clients sit on the information far too long before disseminating it to their frontline managers. Some don’t do anything with the data at all. Gathering customer experience data is only the first step in the process. Sharing the data promptly and taking actionable steps is the critical next phase. How do you help clients get the most from their research data? Dale – At Bare International, a fast turnaround is a priority. Stale data is of no value to anyone, so when an evaluator visits a store, the client has the report the next day. We also provide clients with customized dashboards so information can be easily interpreted and analyzed quickly. And perhaps most helpful, our global experience enables us to share insights on what other companies have done, propose ways to resolve common issues, and identify opportunities for success. This concludes Part 3 of our interview. Watch for the conclusion, in which Mike and Dale share secrets to their success and thoughts on where the future will lead. https://www.bareinternational.ph/wp-content/uploads/sites/9/2018/06/bare-is-30.jpg 298 444 Prateek Vora https://www.bareinternational.ph/wp-content/uploads/2017/03/mystery-shopping.png Prateek Vora2018-06-12 10:58:192018-06-12 10:58:19Industry leaders Mike and Dale Bare share their 30-year perspective on customer experience research. Founders of BARE International reveal hurdles and triumphs on their road to success. Part 2: Going global and the impact of 9/11. https://www.bareinternational.ph/wp-content/uploads/sites/9/2018/05/bare-is-30.jpg 298 444 onimod https://www.bareinternational.ph/wp-content/uploads/2017/03/mystery-shopping.png onimod2018-05-21 16:02:492018-06-02 18:59:59Founders of BARE International reveal hurdles and triumphs on their road to success. Mystery Shopping is a well-known method of customer research. It’s not about spying on businesses or catching staff doing wrong. It is about the experience a Shopper receives. https://www.bareinternational.ph/wp-content/uploads/sites/9/2018/05/5Benefits-of-Mystery-Shopping-1-1.jpg 315 560 onimod https://www.bareinternational.ph/wp-content/uploads/2017/03/mystery-shopping.png onimod2018-05-15 21:42:012018-06-02 19:00:35Why Use Mystery Shopping? Learn how this global leader in customer research grew from a two-person, home-based office to a prominent worldwide enterprise. https://www.bareinternational.ph/wp-content/uploads/sites/9/2018/05/bare-is-30.jpg 298 444 onimod https://www.bareinternational.ph/wp-content/uploads/2017/03/mystery-shopping.png onimod2018-05-09 02:21:042018-06-02 19:01:15Learn how this global leader in customer research grew from a two-person, home-based office to a prominent worldwide enterprise. What is the most important thing you can do to improve relationships with your customers? The answer is as obvious as it is overlooked: improve customer service. No matter how great your product is or how talented your staff are, one of the things that customers are most likely to remember is the interaction they have with your company and the overall experience they take away. BARE International India are Offering You a Free Mystery Evaluation! https://www.bareinternational.ph/wp-content/uploads/sites/9/2018/04/adult-agent-blur-684385-1030x682.jpg 682 1030 onimod https://www.bareinternational.ph/wp-content/uploads/2017/03/mystery-shopping.png onimod2018-04-24 18:02:582018-06-02 19:02:49BARE International India are Offering You a Free Mystery Evaluation!